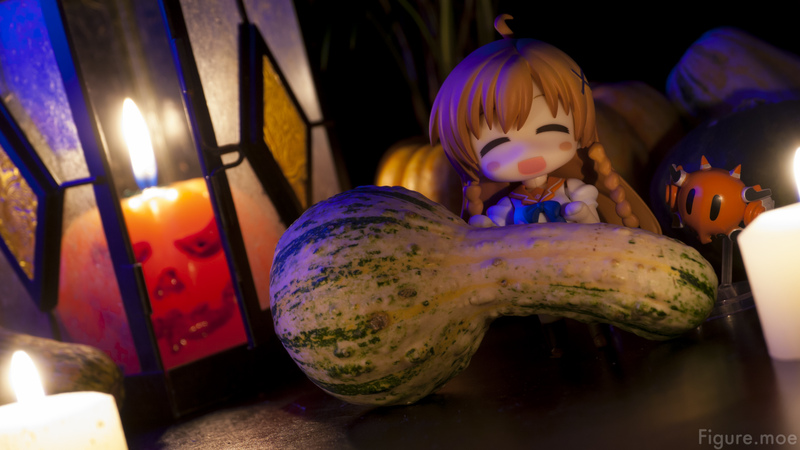 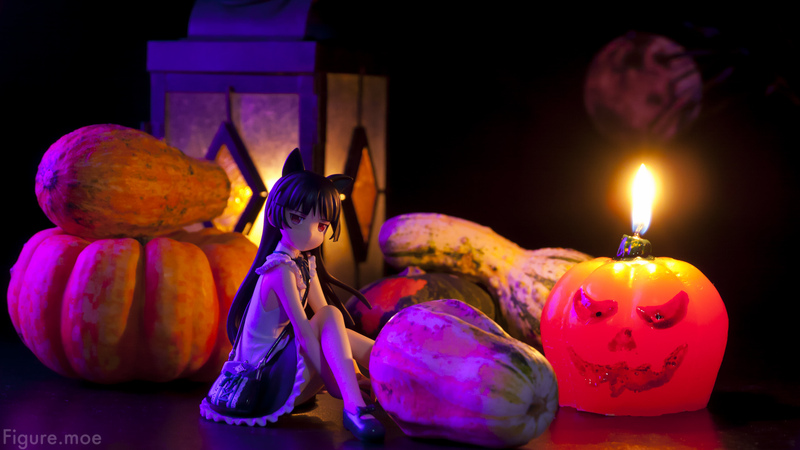 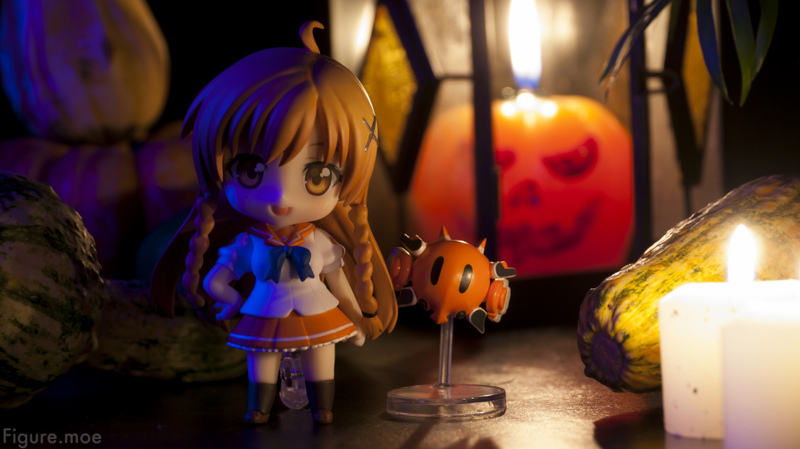 Warming up to Halloween this evening, here are last year’s Kuroneko and Mirai Suenaga Halloween photos. 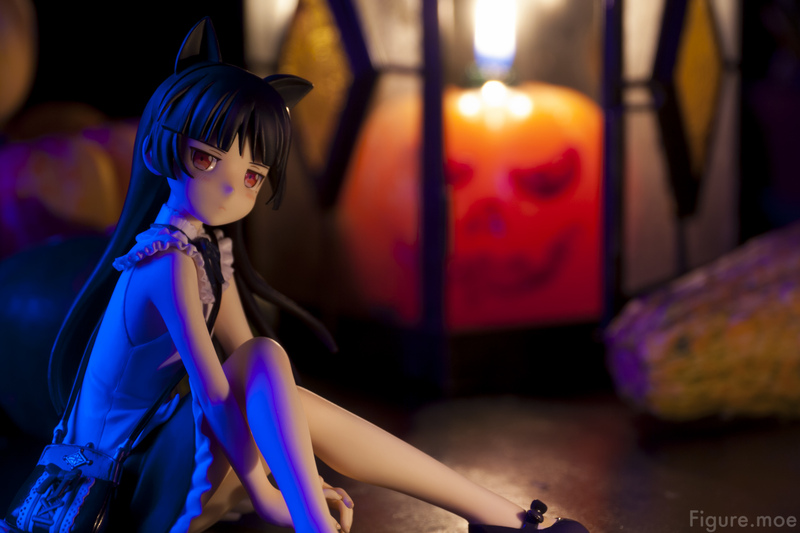 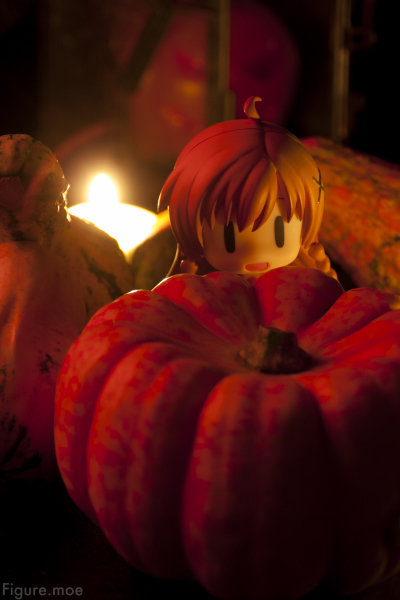 Seems she feels the menacing presence… of a burning pumpkin candle. 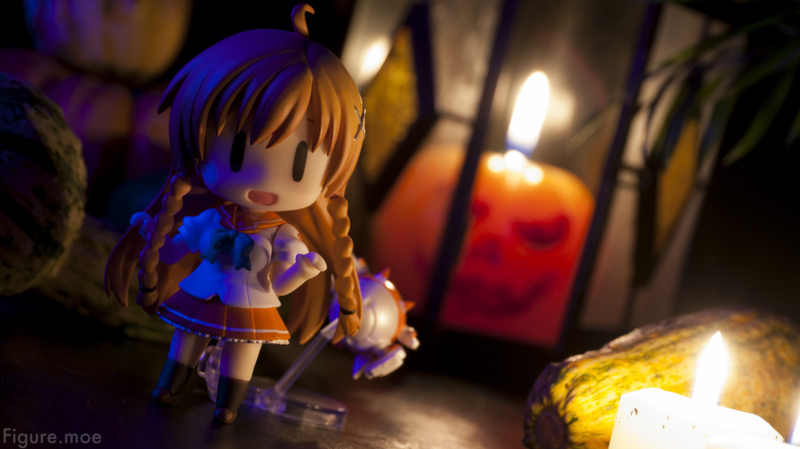 Mirai has no idea what’s behind her… Yet.